1. How many people will there be on retreat? This depends upon the retreat. Our Autumn and winter retreats tend to be a more intimate cozy affair and we generally have between 18 and 20 guests. Some of our special summer events have a different character and more of a festival feel, and we may have up to 35 guests. But regardless of how many guests we have, you can be assured of personal attention if you want it. We have a terrific team of teachers with at least 5 on each retreat, as well as a large team of helpers on hand. All of whom have lived mindfully for many years and are very skilled in helping you find a place of mindfulness too. 2. 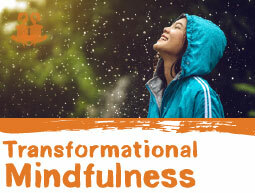 How many people will there be on Miracle of Mindfulness course? Generally 20 -25 per class. 3. I’ve been suffering from mental or physical health problems, could this be a problem? Not at all, many people come to mindfulness to seek a solution to mental and physical health problems. Mindfulness is being recommended for depression, anxiety problems, PTSD, and many other mental health issues and also for pain management and to ease the suffering associated with many physical health issues too. We can get into trouble for suggesting that mindfulness can offer a cure for some of these issues, but I can find you hundreds of people that we've worked with over the years who would claim it does. Maybe you could just start practicing and see for yourself. If you have problems with mobility that shouldn't stop you joining us. The Charing Cross venue has lots of stairs, so isn't ideal, but there is wheel chair access at the Hale Clinic and we hold our classes on the ground floor. Our retreat centre in Suffolk is suitable for wheel chair users and we have designed the "walks" and other mindful activities to be suitable for wheel chair users too. In short if you have mobility issue, let us know and we'll do everything we can to make it possible. 3. 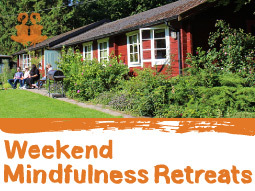 I don’t know anything about Mindfulness, is this the right retreat/course for me? Absolutely yes. 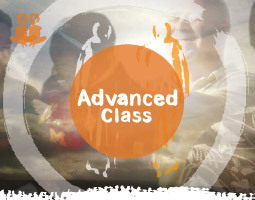 The Miracle of Mindfulness classes and our monthly retreats are ideal for beginners. We'll teach you the basics, but we won't just scrape the surface of mindfulness. 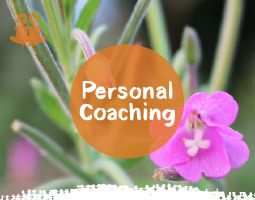 We aim to give you a deep understanding and most importantly experience mindfulness for yourself and discover how to make mindfulness central to your way of living. 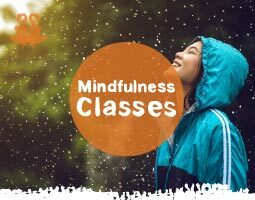 Yes it's ideal for beginners, but we aren't messing about, the reason our courses are so popular is because we explore a deep and profound understanding of mindfulness. 4. I’ve been practicing Mindfulness for a while now, are your courses just for beginners? No not at all, many people who join our classes have been practicing mindfulness for a while, If you have completed an MSBR or MBCT or another mindfulness course, you'll discover that we pick up where they left off. We'll cover the basics again in the first session, but you wont have heard much of this before, and you'll find our direct and clear approach refreshing. We cut through the nonsense and get straight to it. 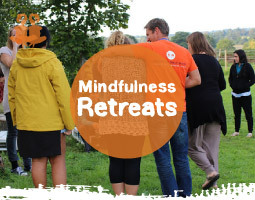 Most mindfulness classes really just scratch the surface, but we are interested in the more profound aspects of mindfulness, and our courses and retreats are designed to take your practice to a new level of understanding. We'll explore the practical real word applications of mindfulness, but also the spiritual implications of mindfulness, access to higher states of mind and ultimately "the awakened state". 5. Is Mindfulness a religious practice? Mindfulness does have its roots in the Buddhist traditions, particularly the more direct schools such as Zen. But you will also find these ideas in many other traditions such as Taoism, as well as mystical branches of Christianity and Islam. But mindfulness is not about belief, in fact no belief is necessary. Mindfulness is an alert state of awareness that causes your mind to go quiet. No thoughts, no beliefs. Mindfulness is in essence a state of non believing. In fact we don't want you believe anything that we teach you either, don't believe a word, if you practice and experience mindfulness yourself directly , you'll see for yourself, and belief becomes obsolete. Our classes and retreats are all about giving you a direct experience of mindfulness not about learning a theory or getting you to believe in anything. Mindfulness its a spiritual practice but not religious. I hear lots about "secular mindfulness" courses, free of spirituality, but there really is no such thing as secular mindfulness, just teachers who haven't reached this level of understanding yet. I think it's important to be honest from the start. Even if you practice mindfulness for purely practical reasons, as I did when I first started, eventually a spiritual dimension to yourself and the nature of reality starts to come into focus. 5. Are the retreats all outdoors? Our retreat centre sits in the Suffolk countryside in an old estate, nestled amongst nature we make the most of the location. However we deliver much of the teachings in the warmth and comfort of our indoor teaching spaces. In the summer we set up a marquee and will use this space when appropriate as well as spending as much time enjoying the sunshine when it's possible! At the Winter retreats we won't subject our guests to the perils of British weather so most of the weekend takes place indoors apart from our mindful walk through the woods – weather permitting! 6. Do I need to bring anything with me or wear any special clothing? Not for The Miracle Of Mindfulness classes, come as you are. 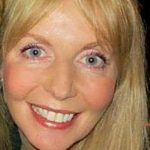 You will need outdoor clothes and sensible footwear for the weekend retreats, but Teresa will send you a list if things to bring when she deals with your booking. 7. Will I have to take part in all the workshops/ talks on retreat? You don't have to do anything, if you'd rather just sit in the wood or walk on the estate that's fine. 8. I have special dietary requirements, can I be catered for? Yes of course, if you have any dietary issues, please let us know and we'll make sure there is plenty for you to eat on retreat. 9. 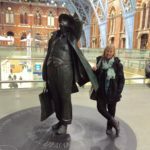 Can I speak to someone to get more information before I book a course or retreat?